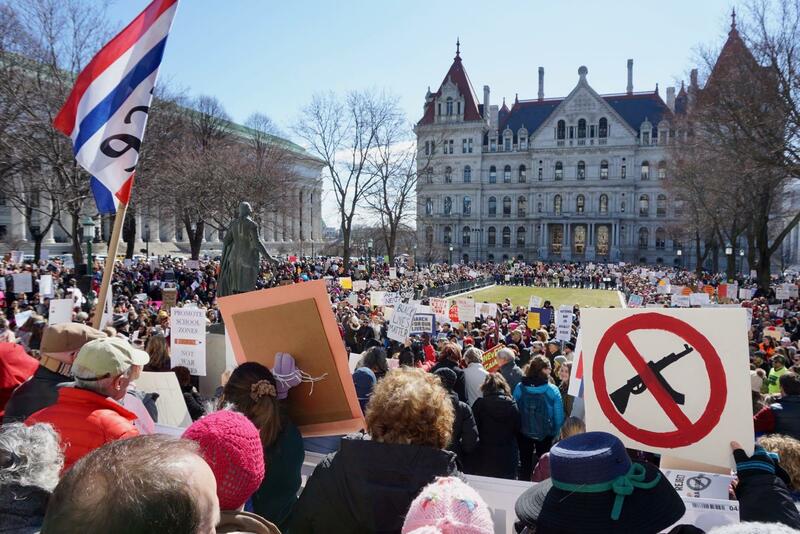 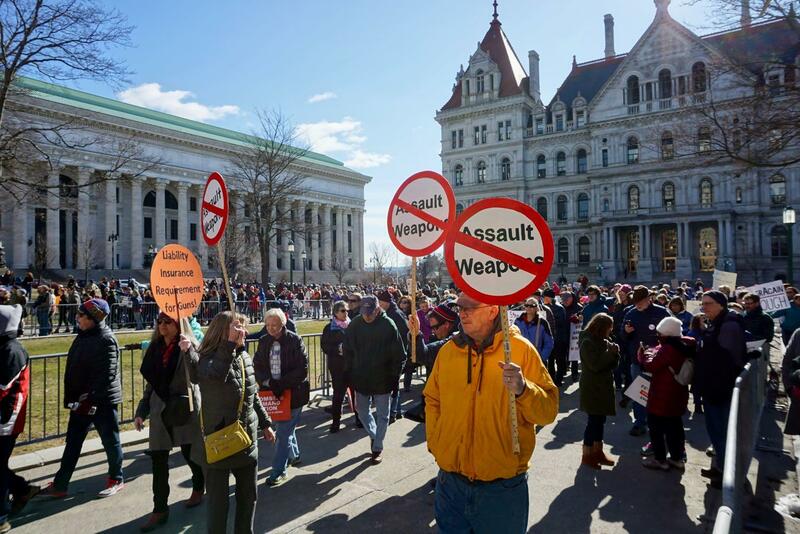 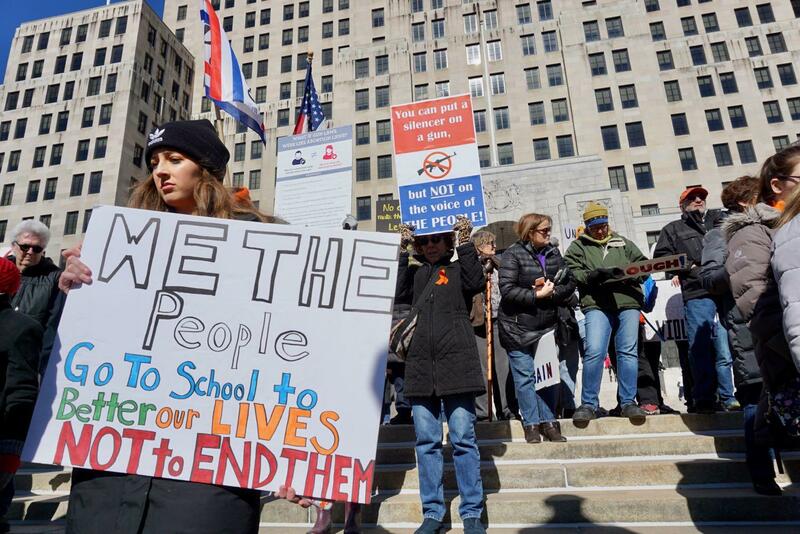 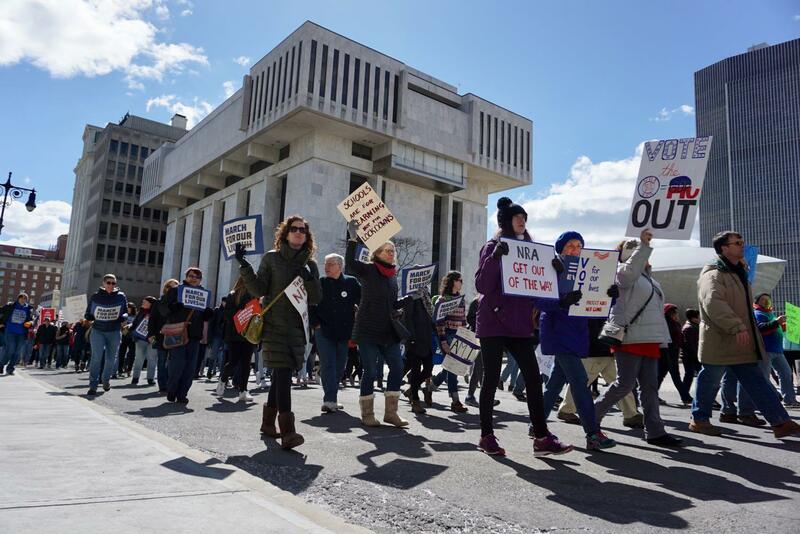 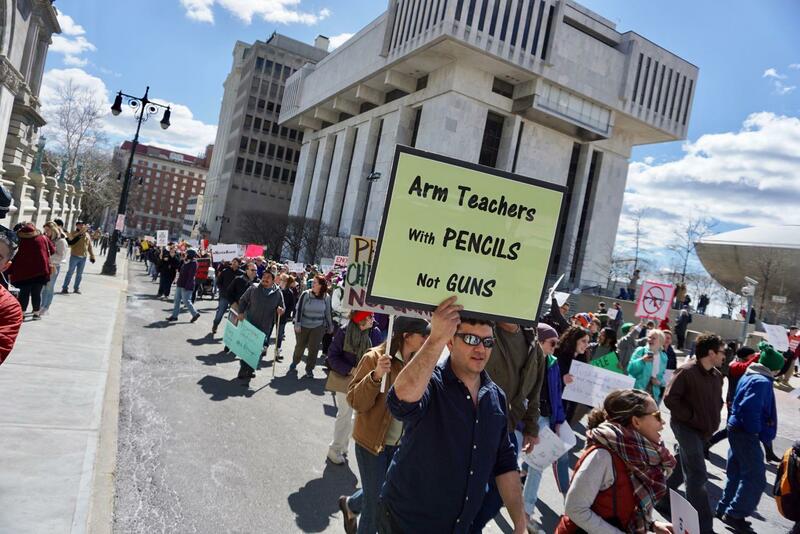 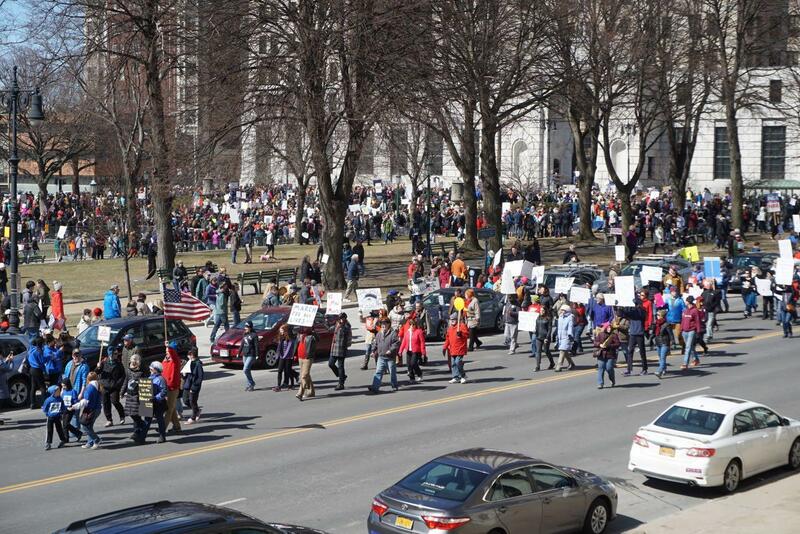 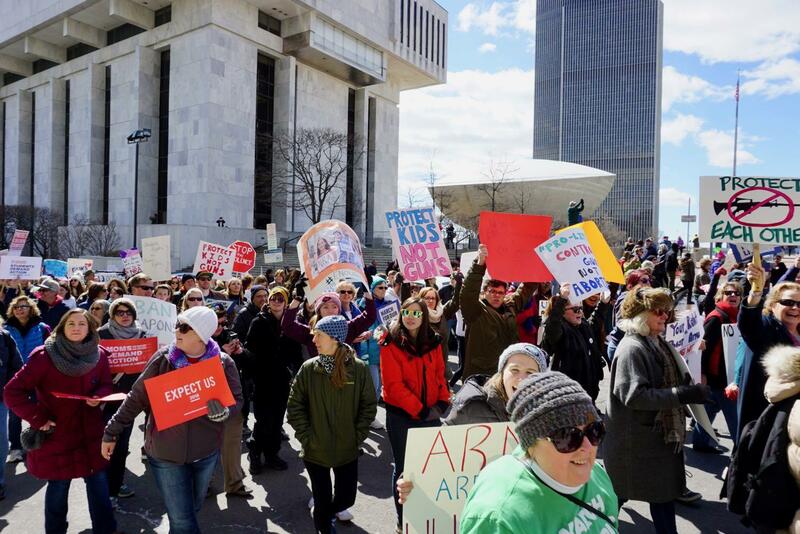 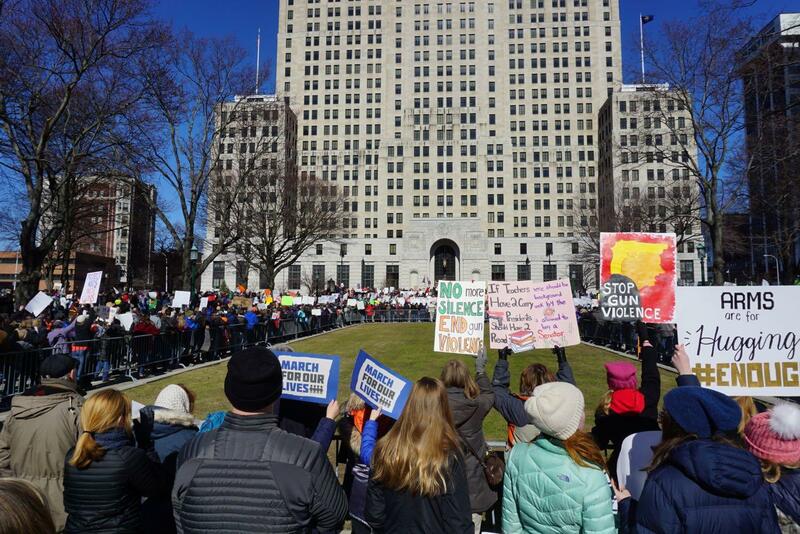 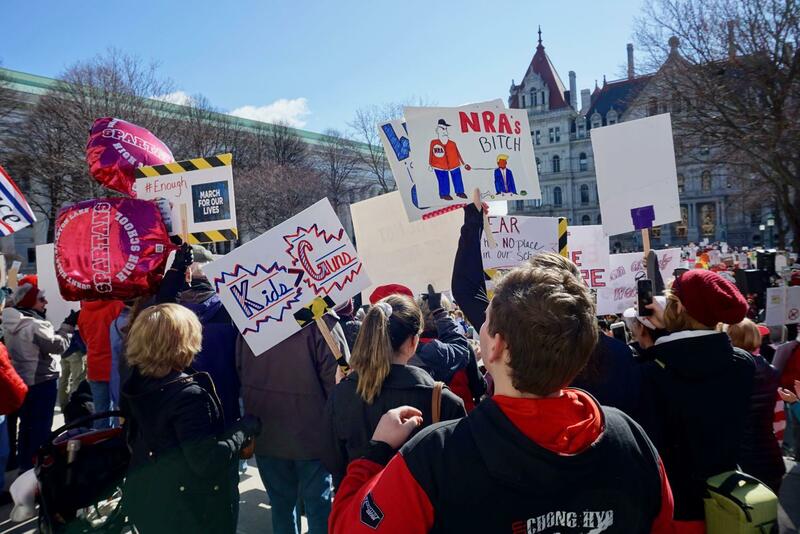 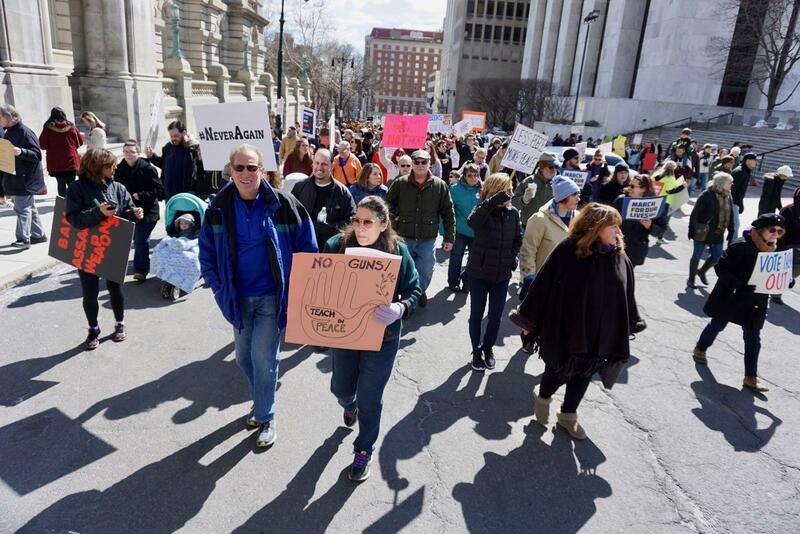 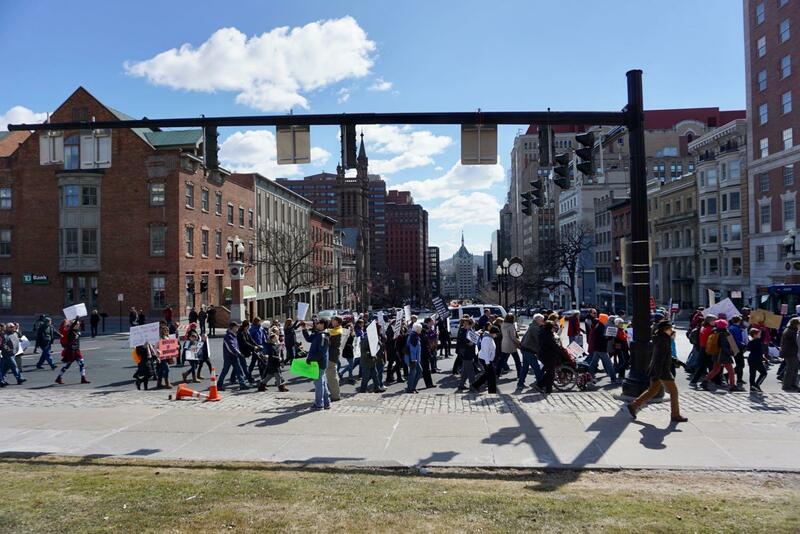 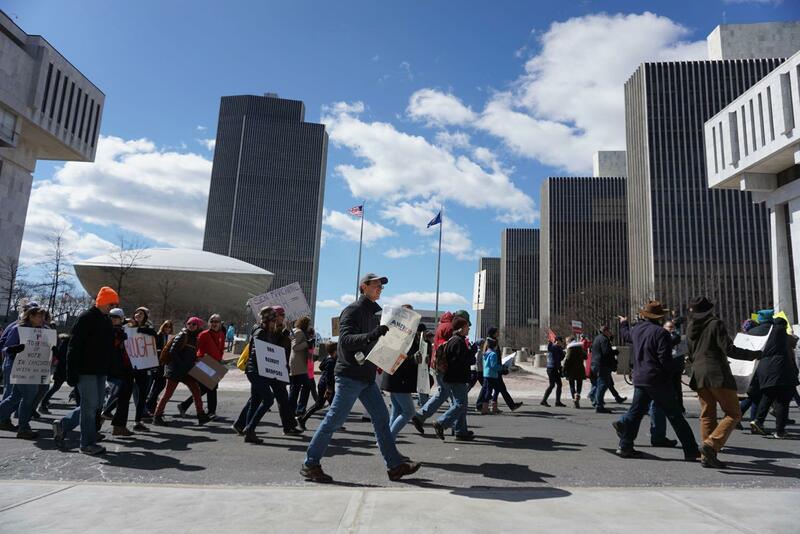 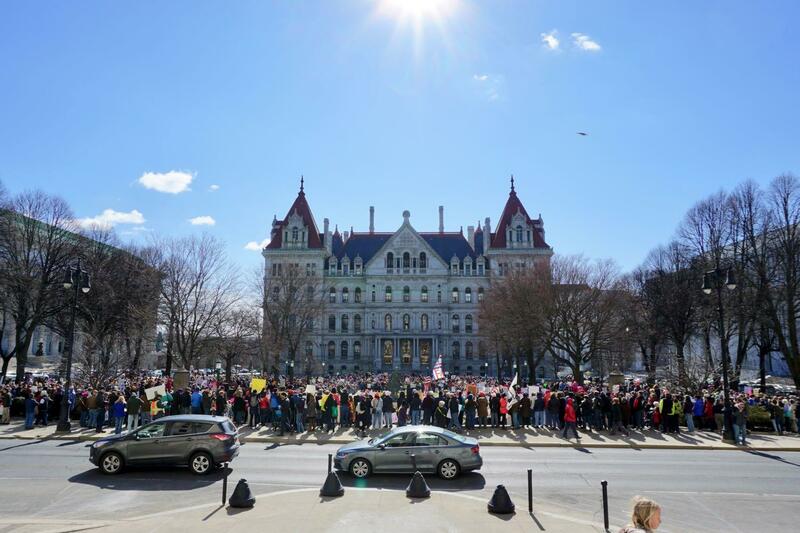 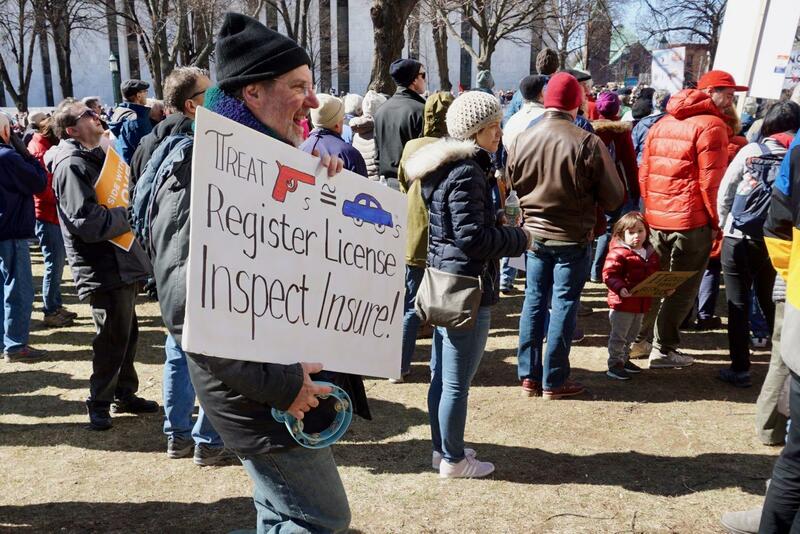 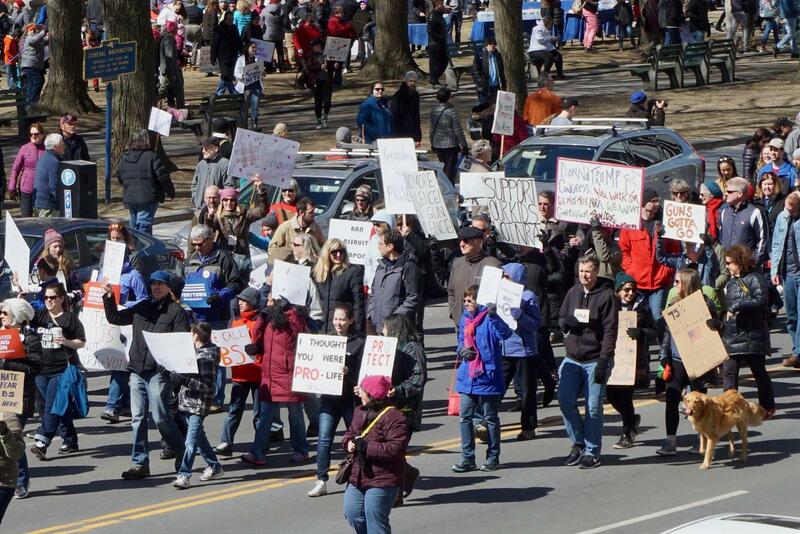 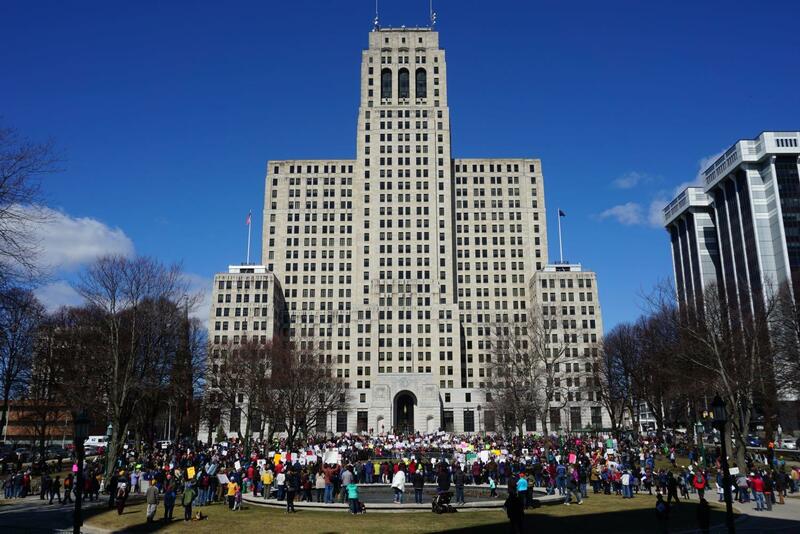 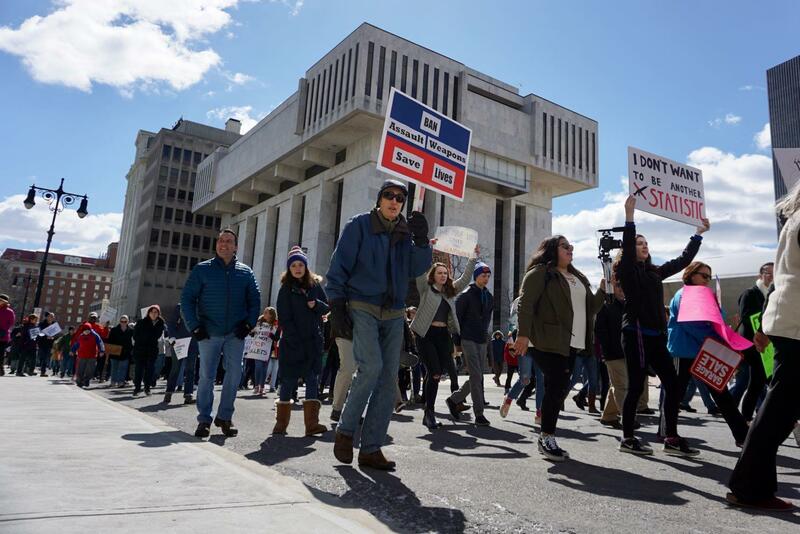 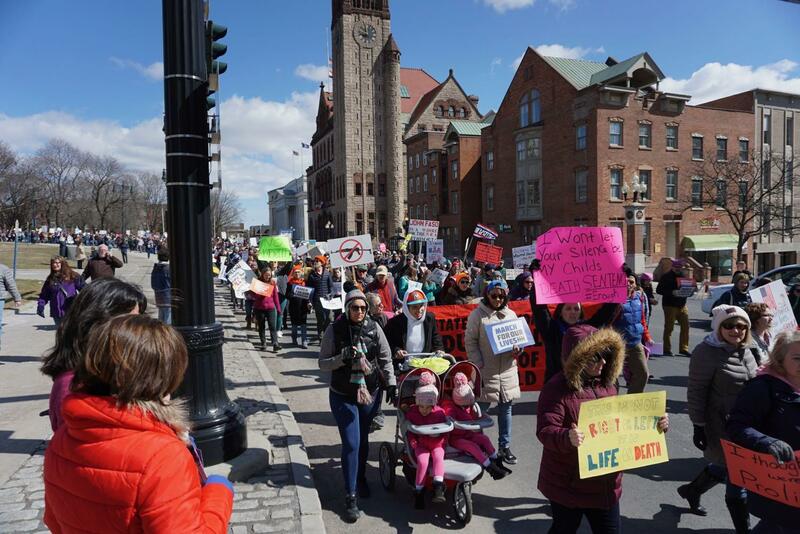 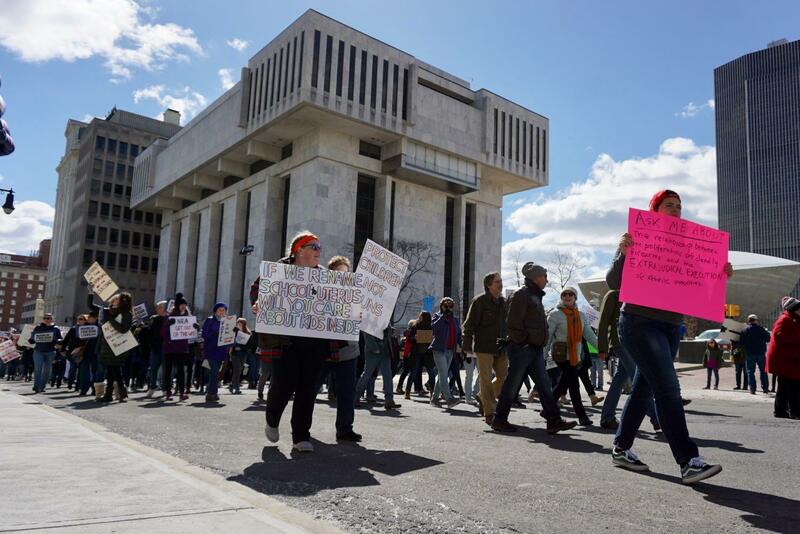 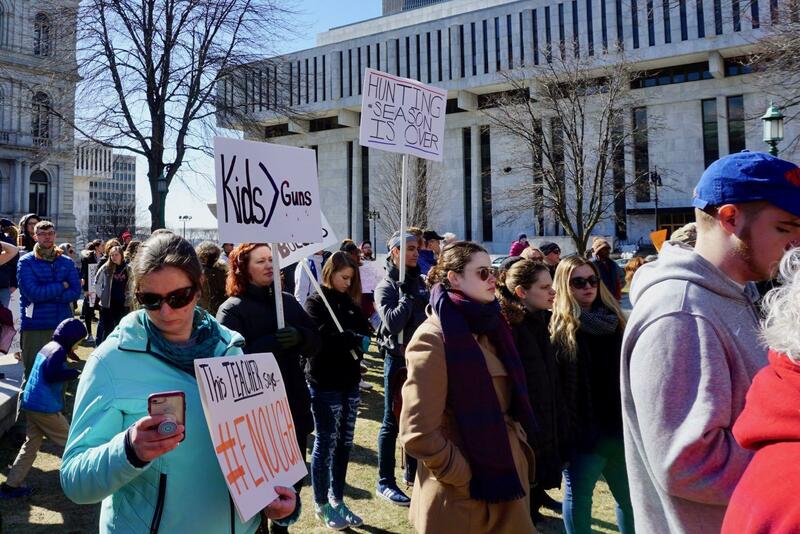 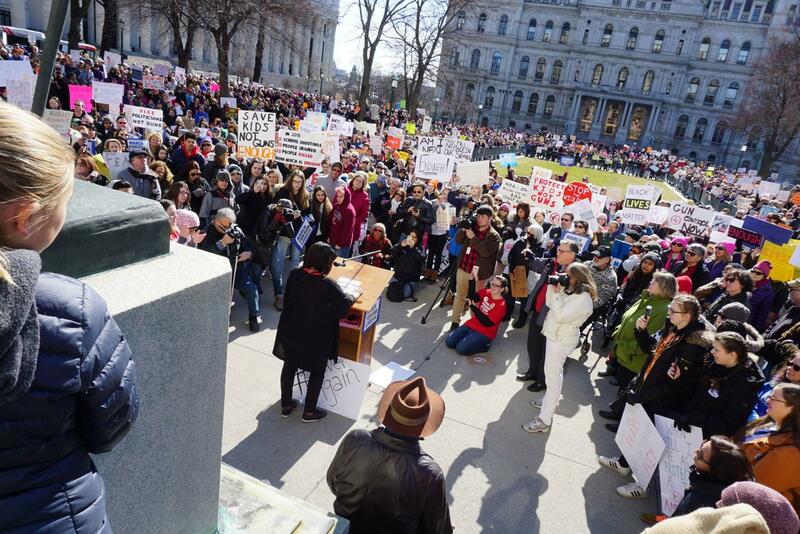 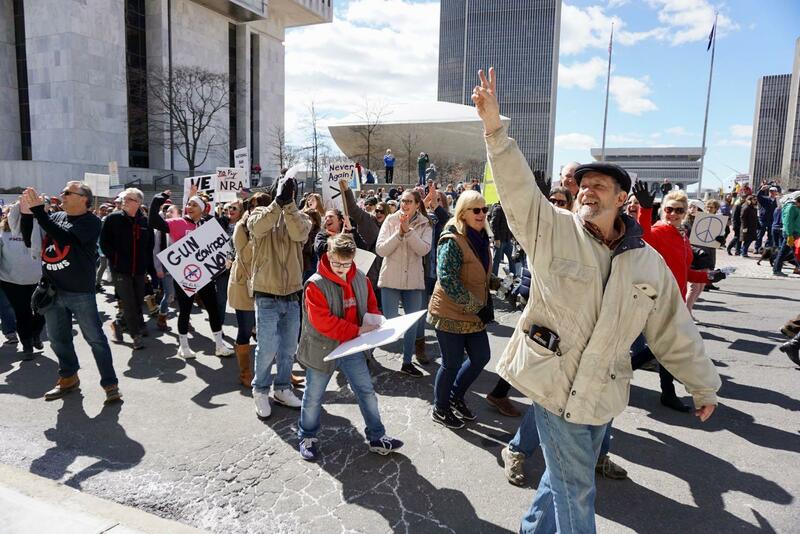 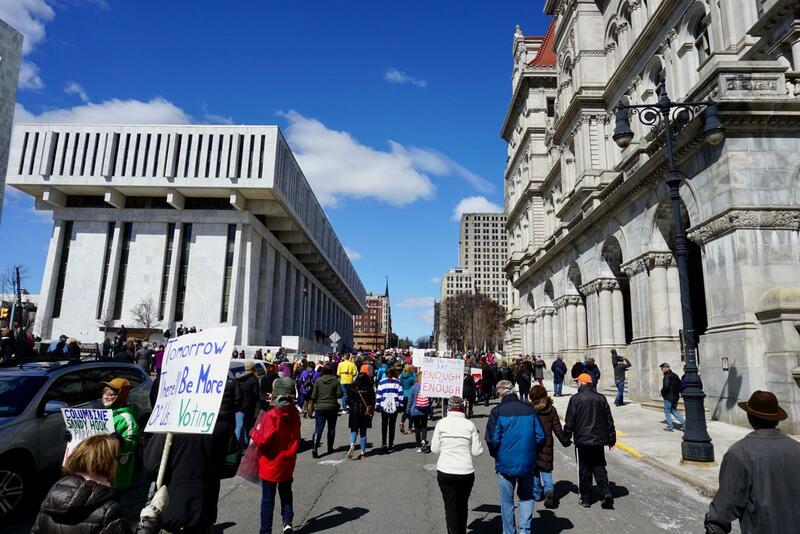 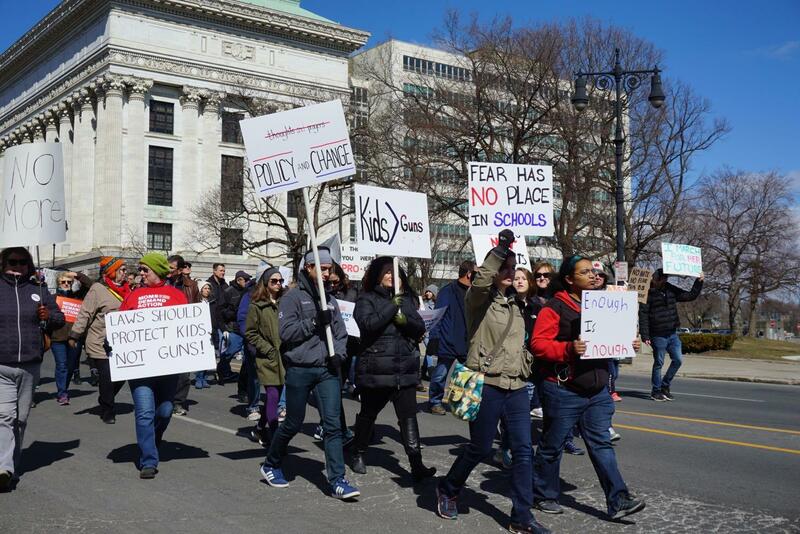 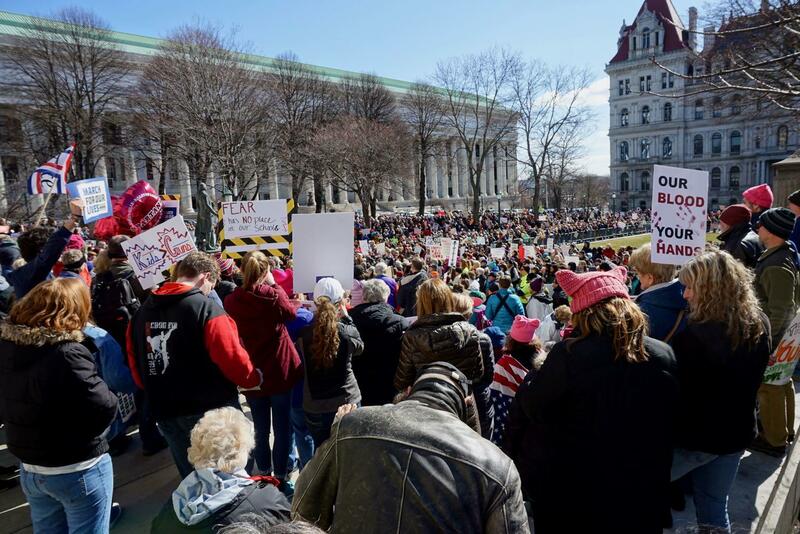 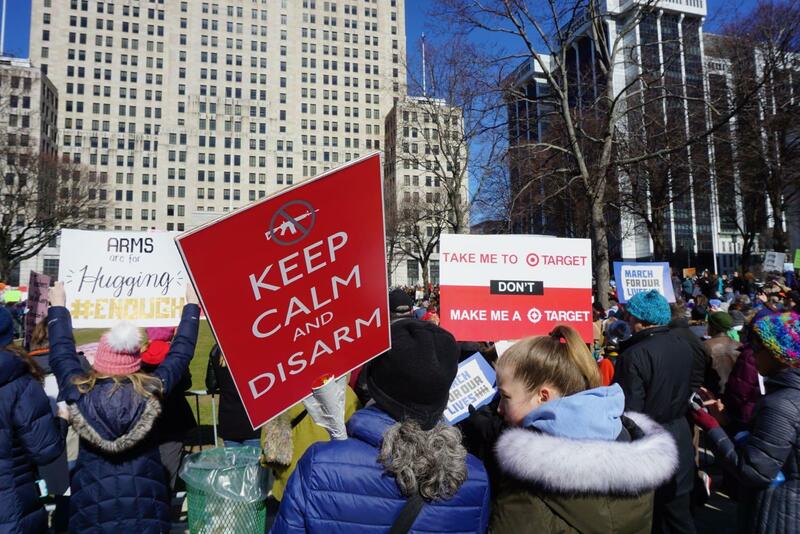 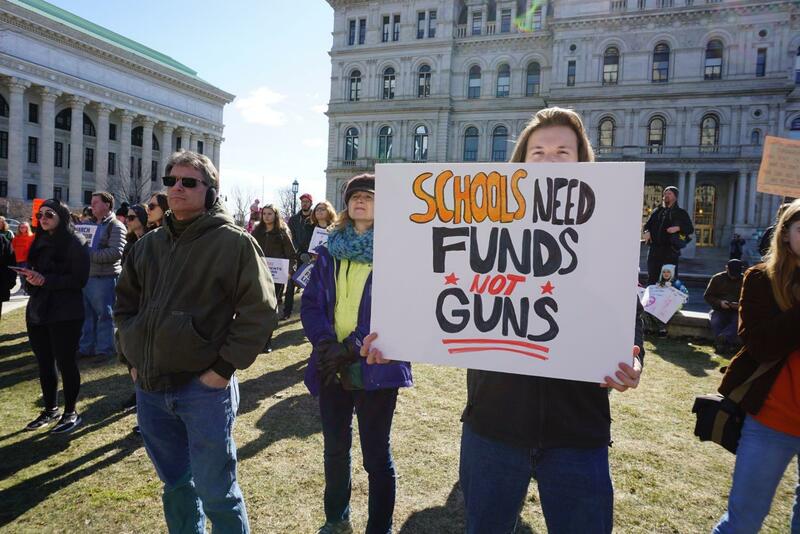 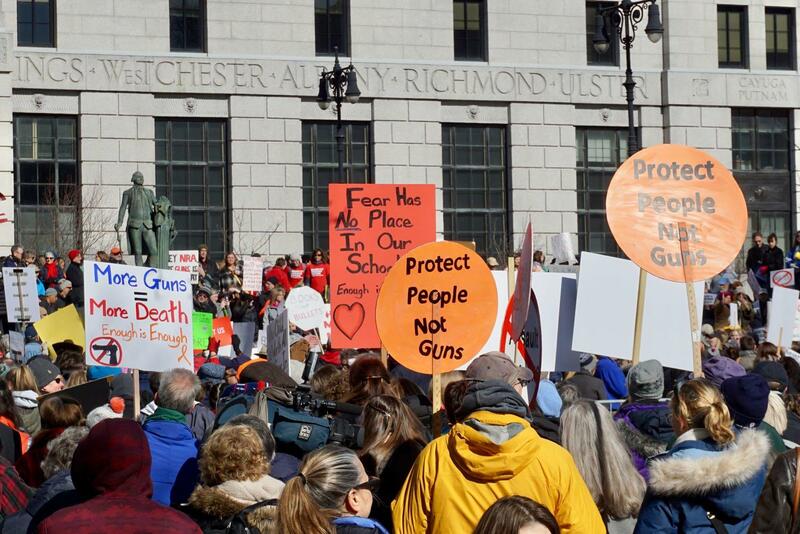 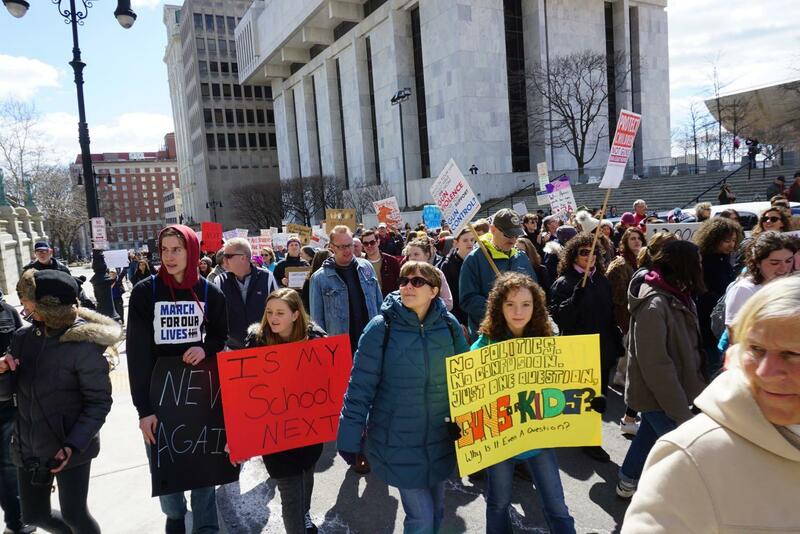 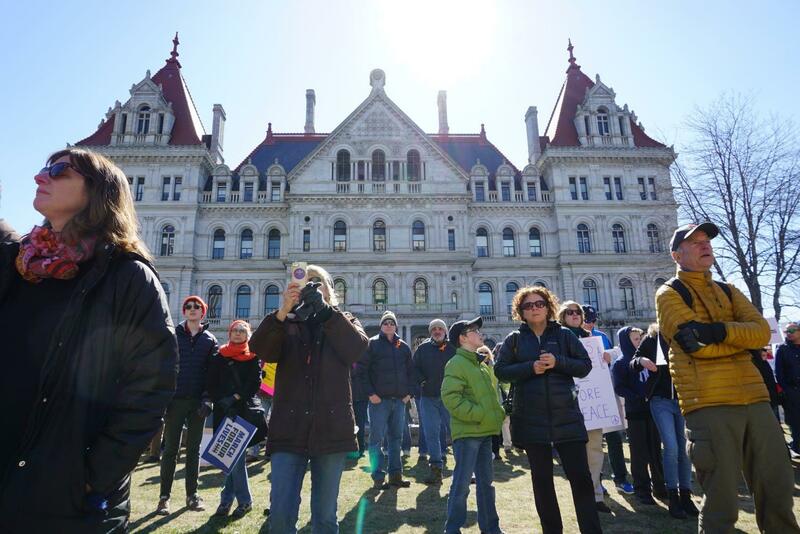 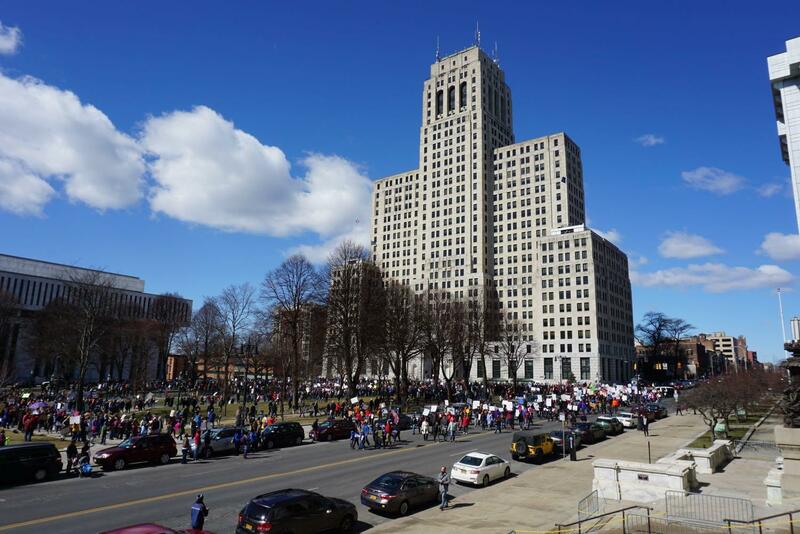 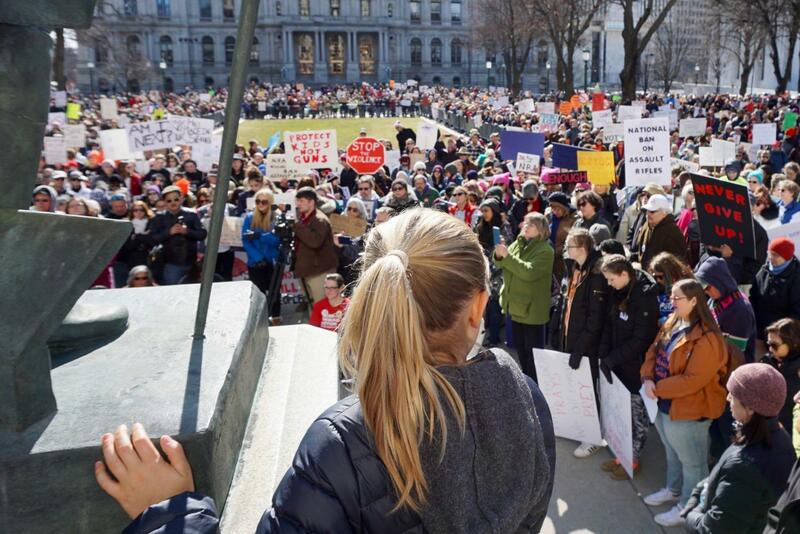 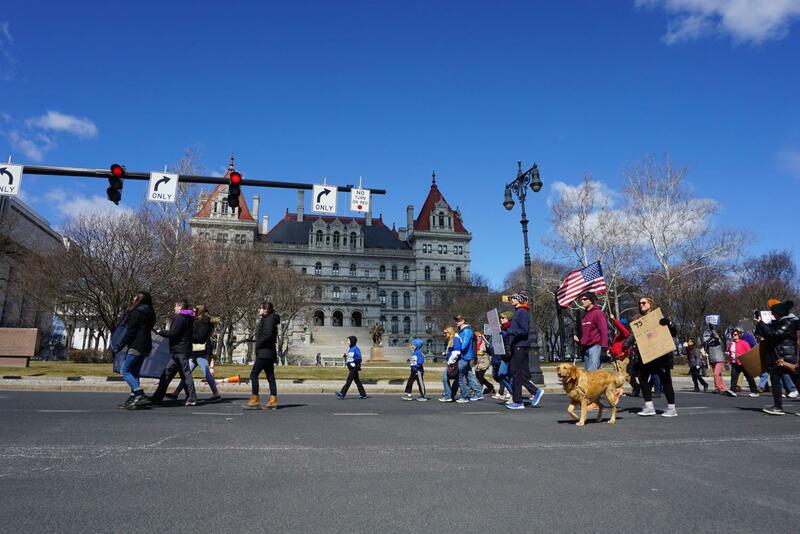 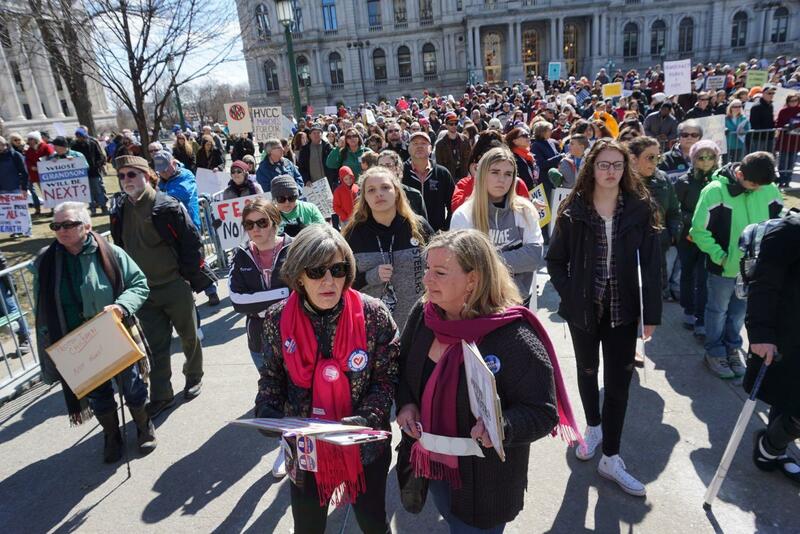 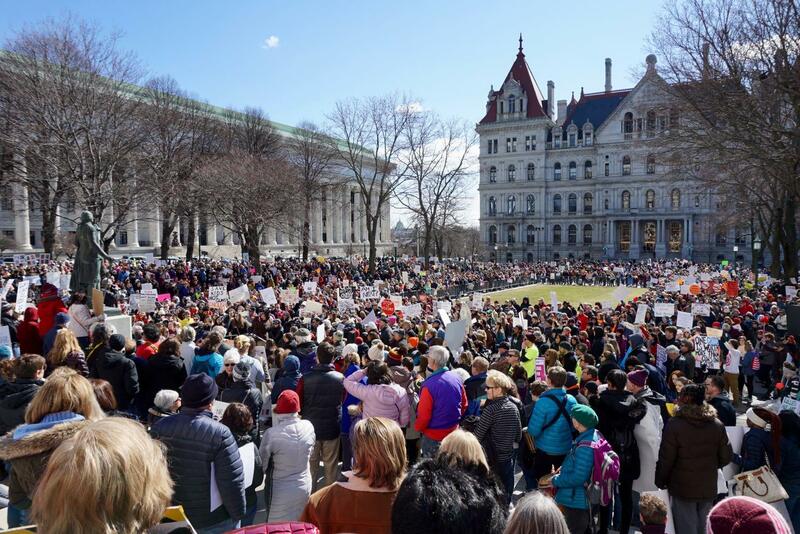 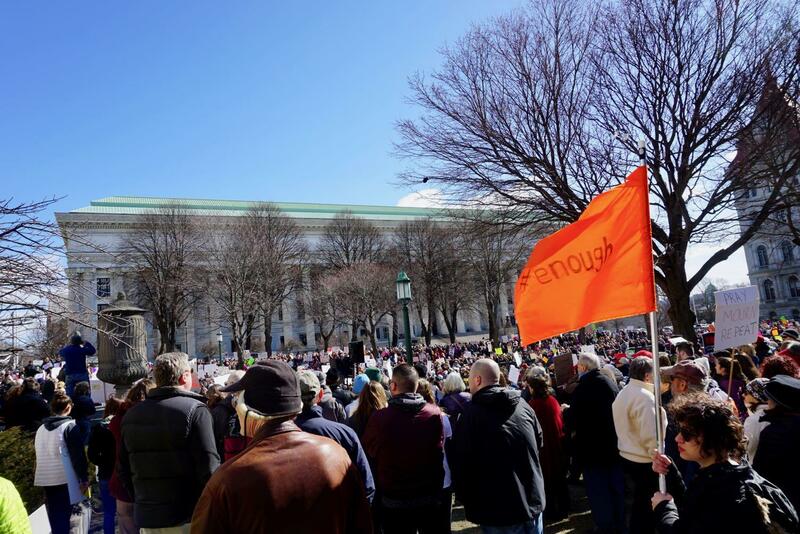 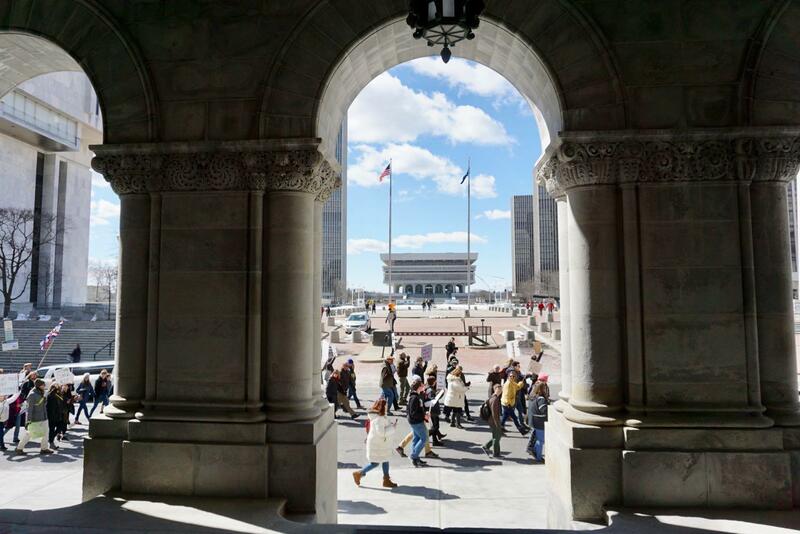 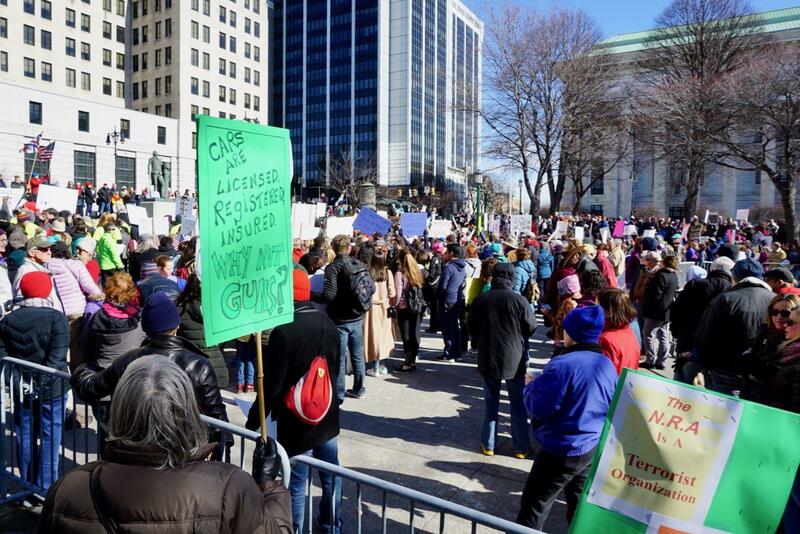 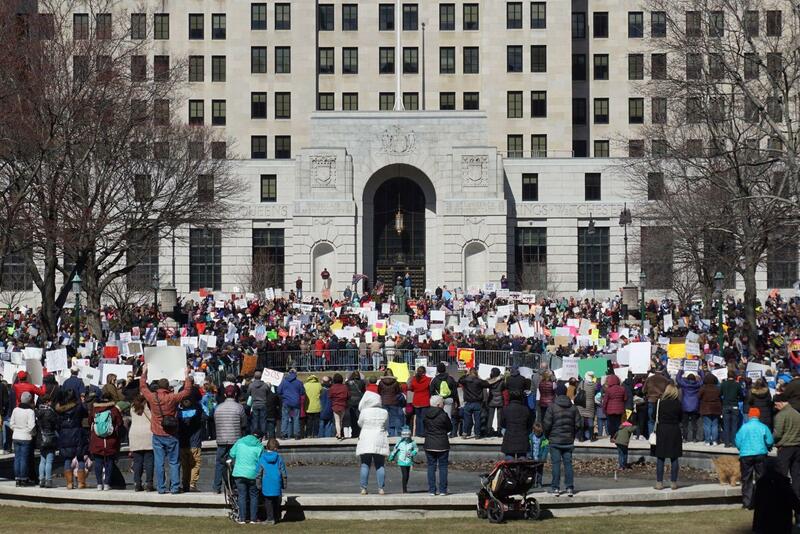 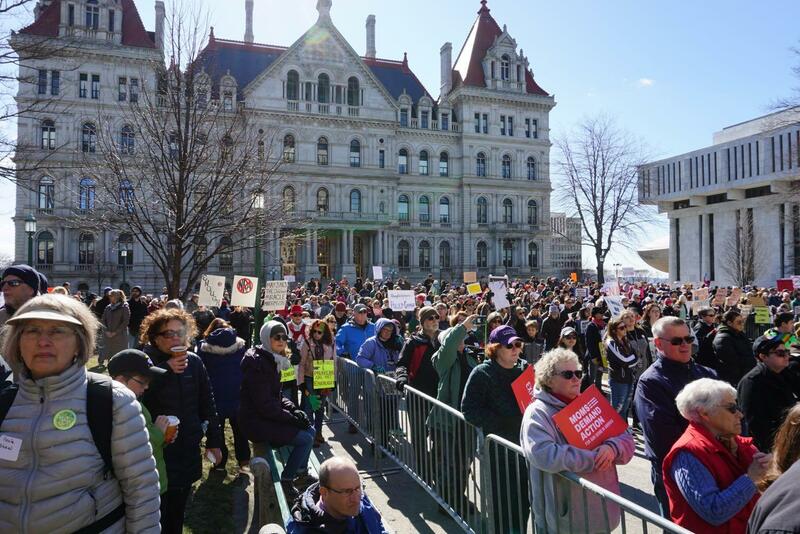 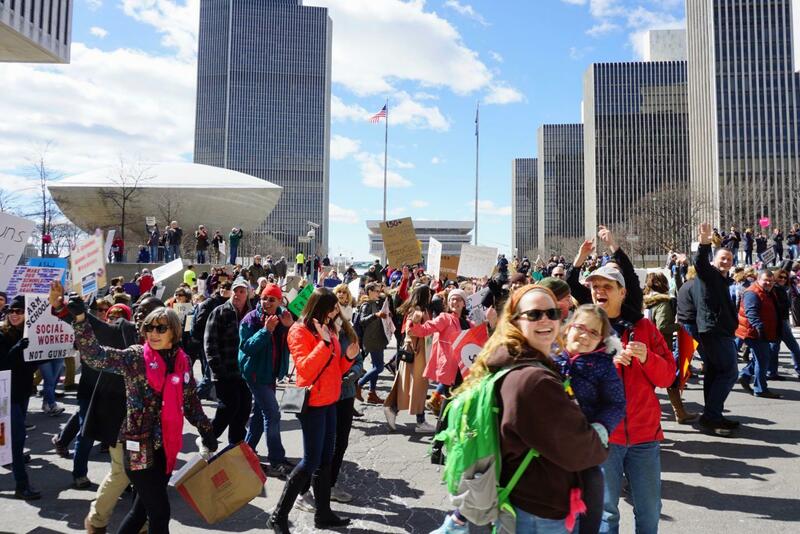 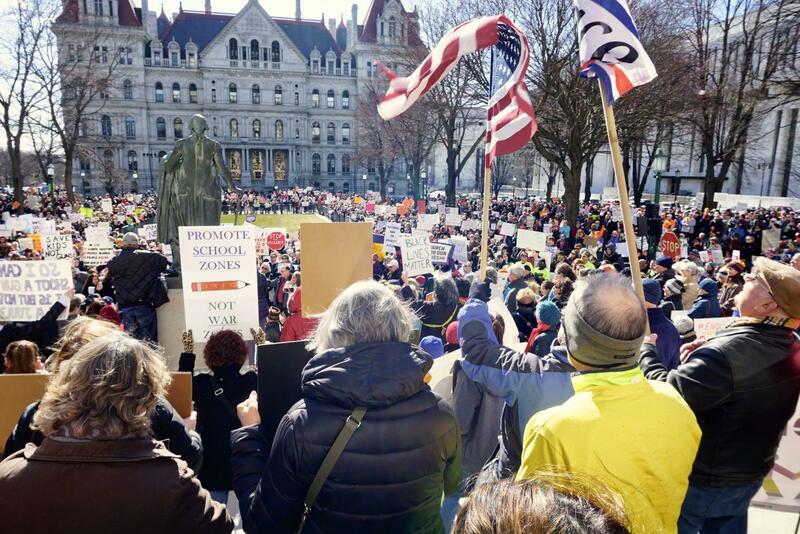 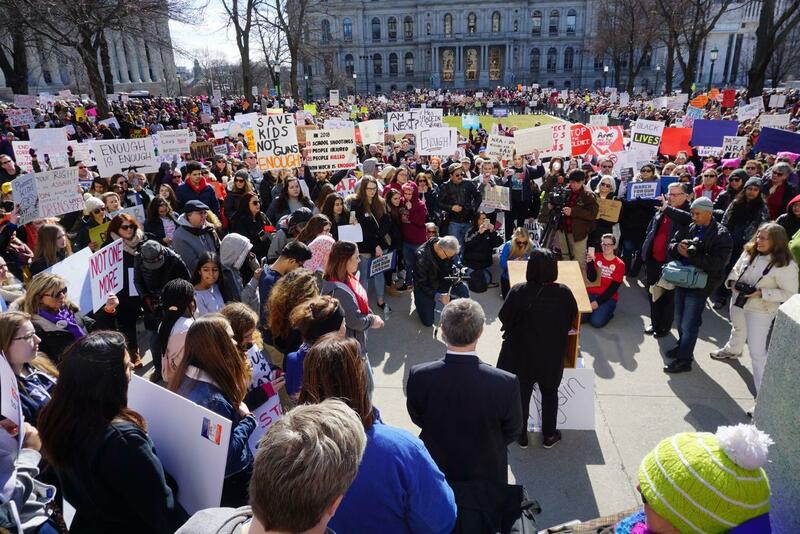 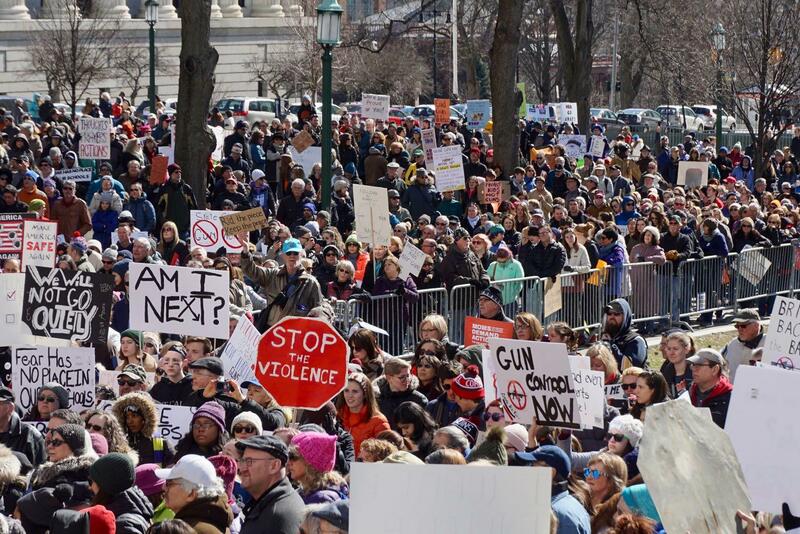 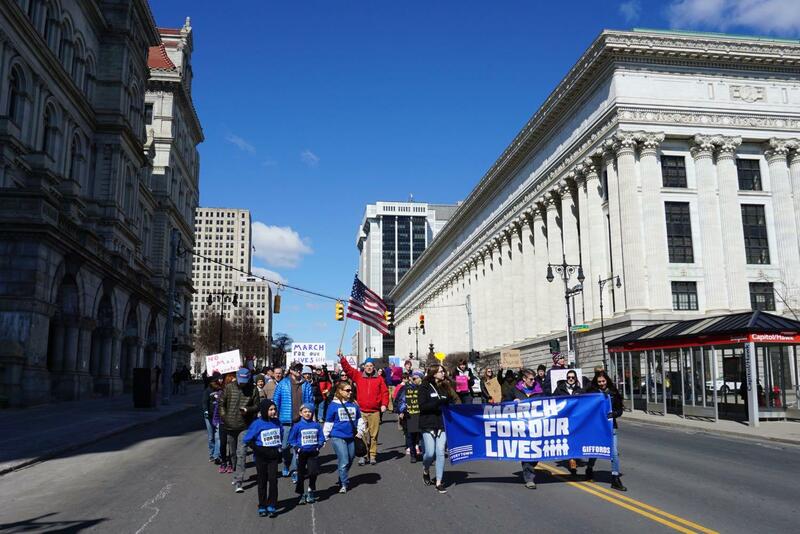 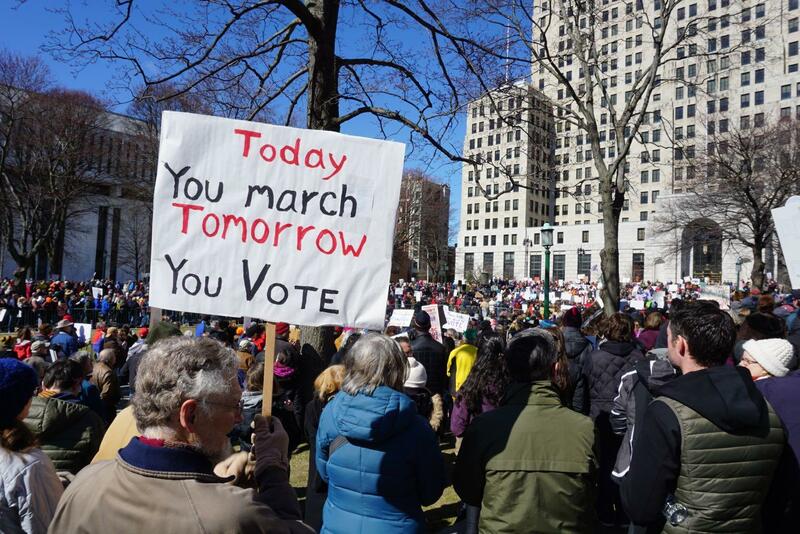 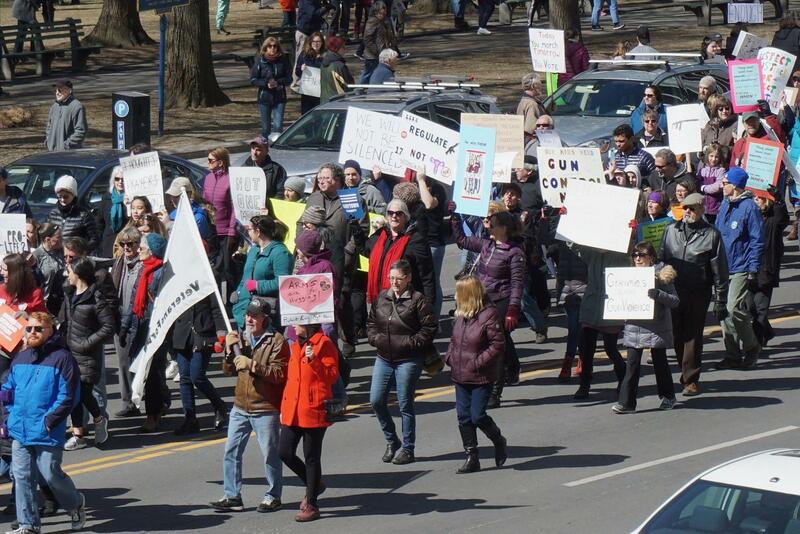 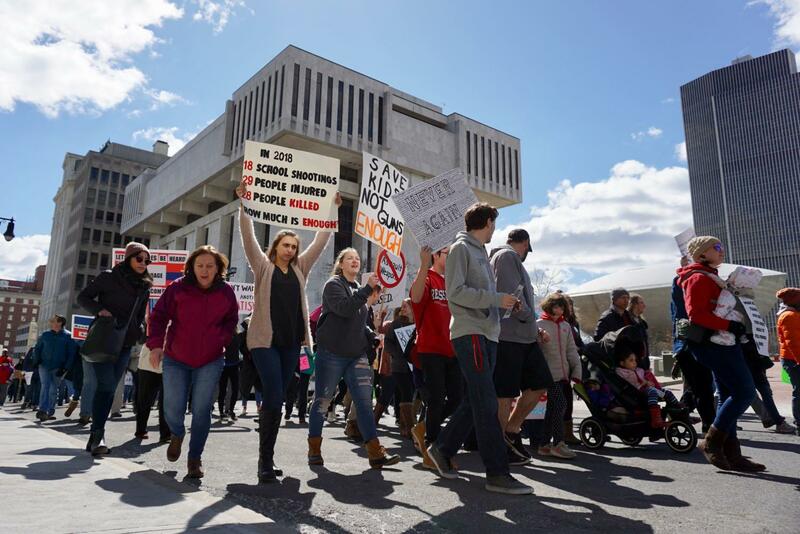 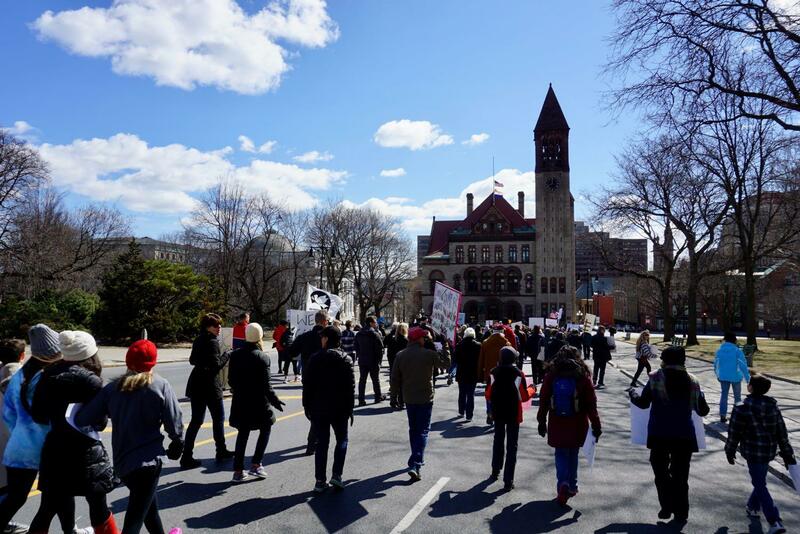 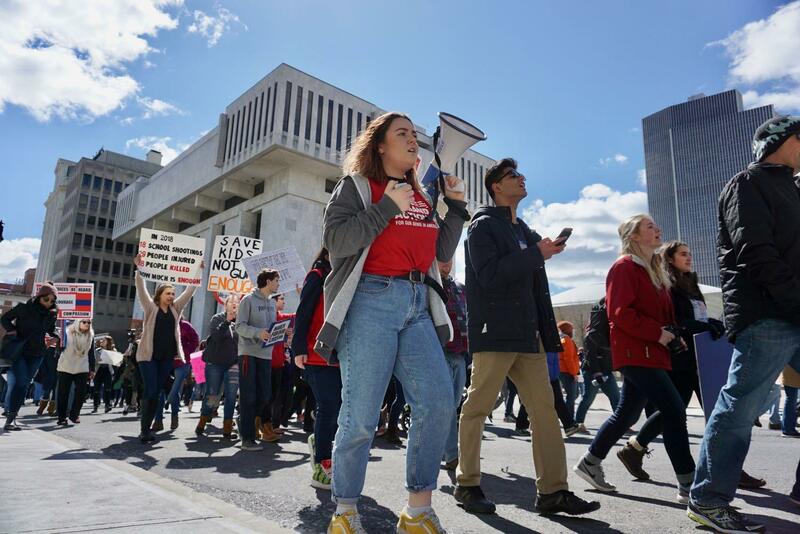 Thousands of people assembled in West Capitol Park in Albany Saturday for the March for Our Lives event to protest gun violence and advocate for gun control. 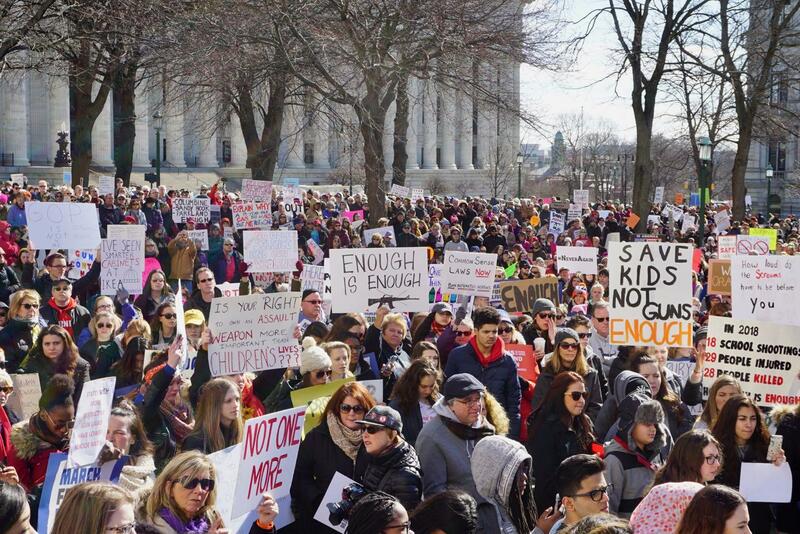 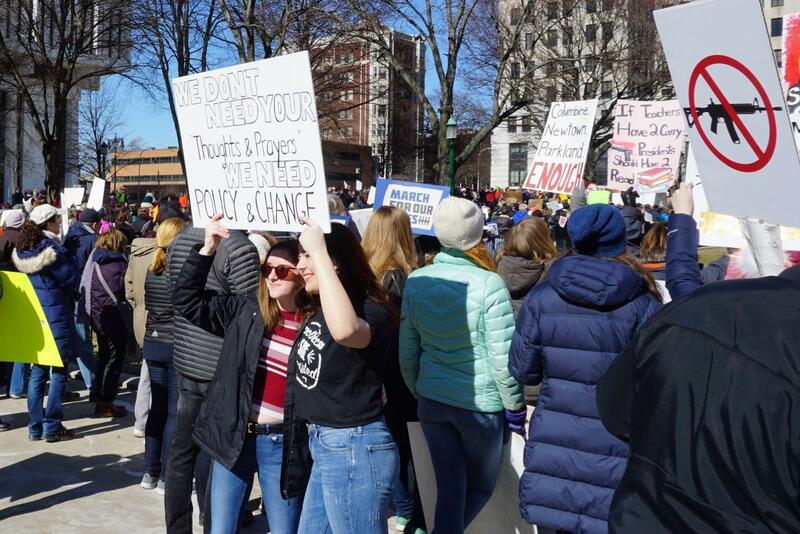 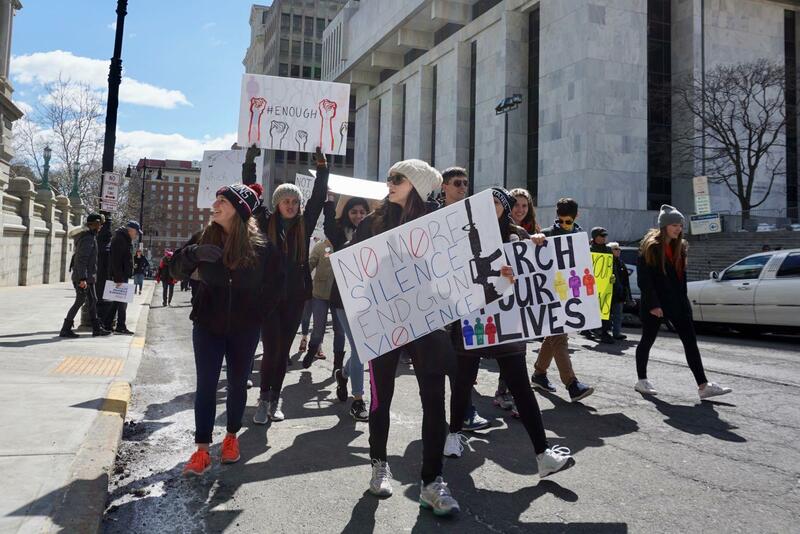 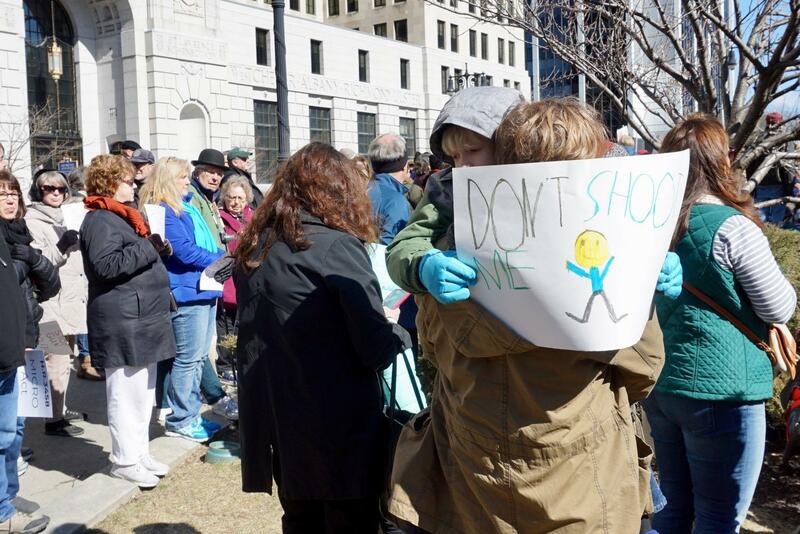 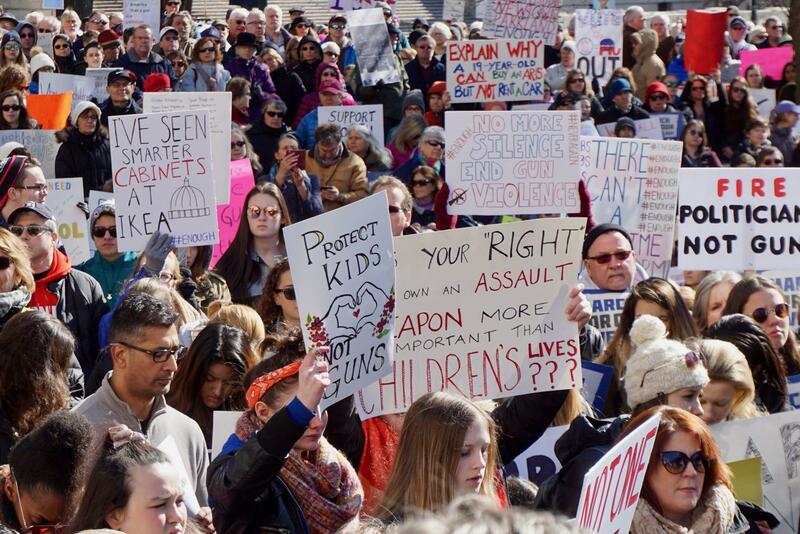 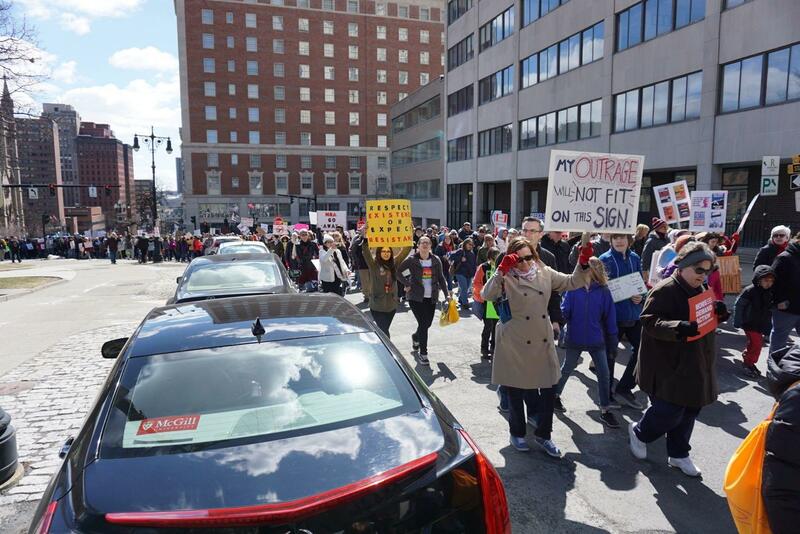 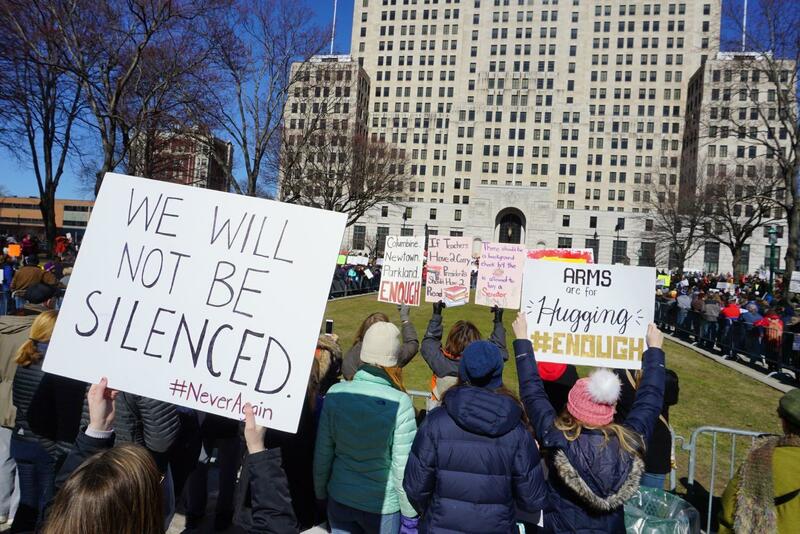 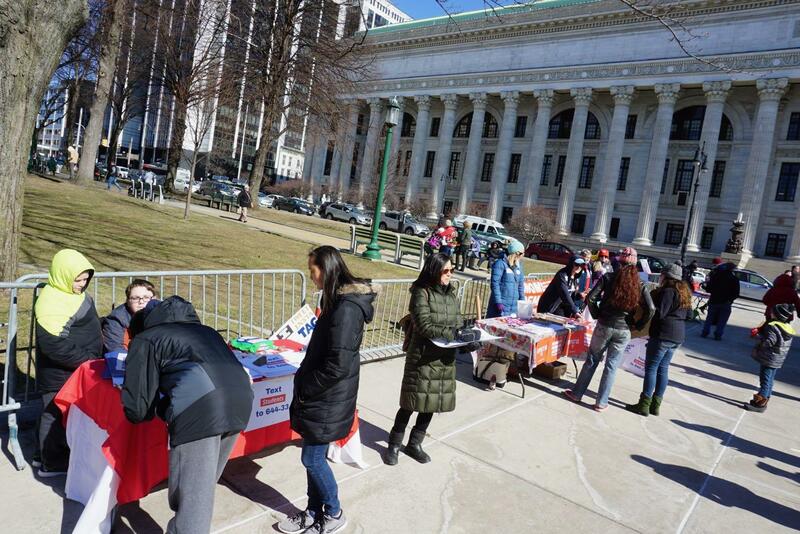 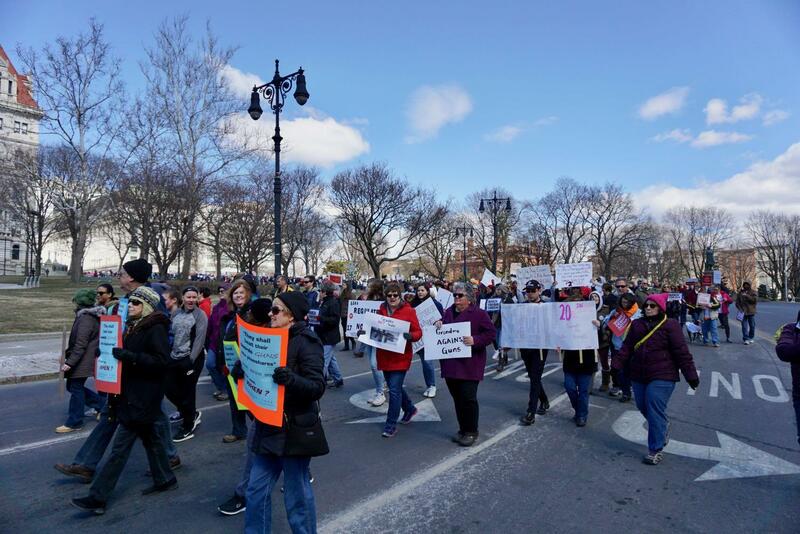 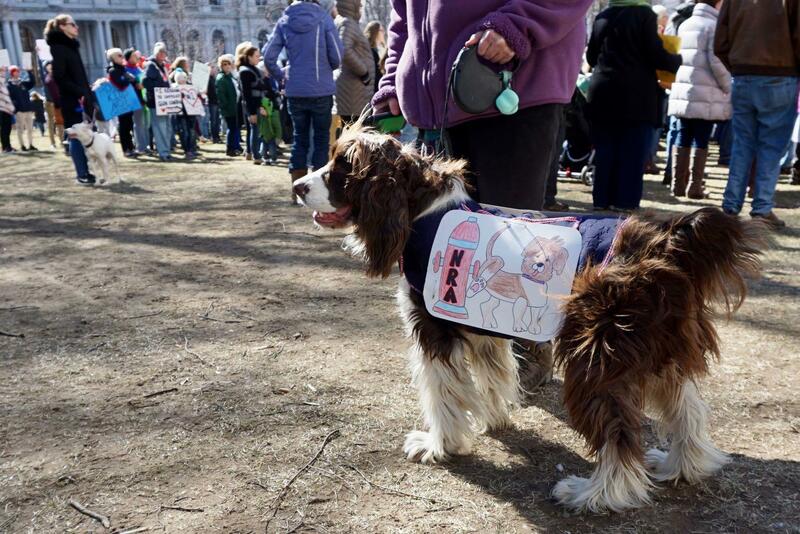 It was one of many similar events across the country fueled by the outpouring of activism over the past year and focused by the school shooting in Parkland, Florida. 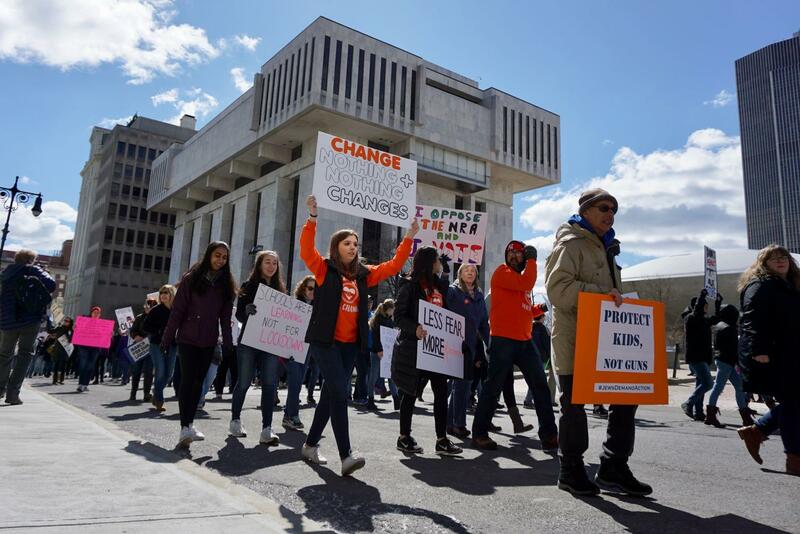 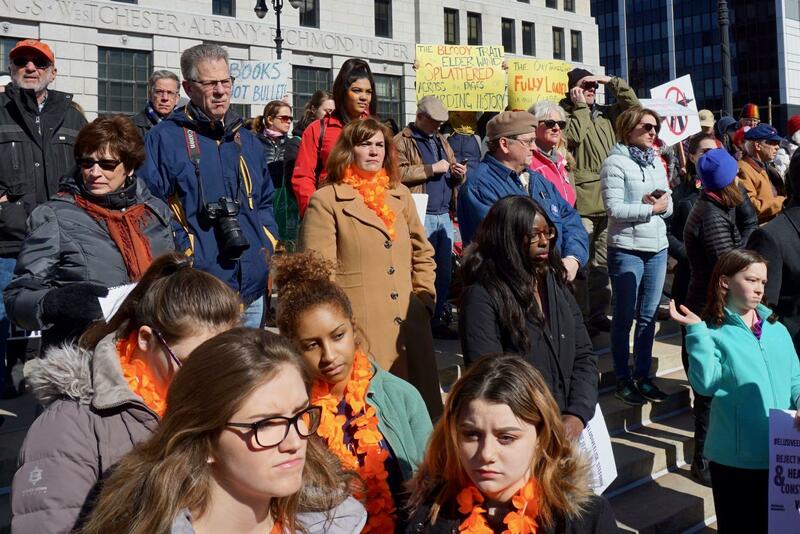 The event included speakers talking about the toll of gun violence in neighborhoods, students describing their fear from the threat of school shootings, elected officials highlighting legislative initiatives, and organizers urging people to vote. 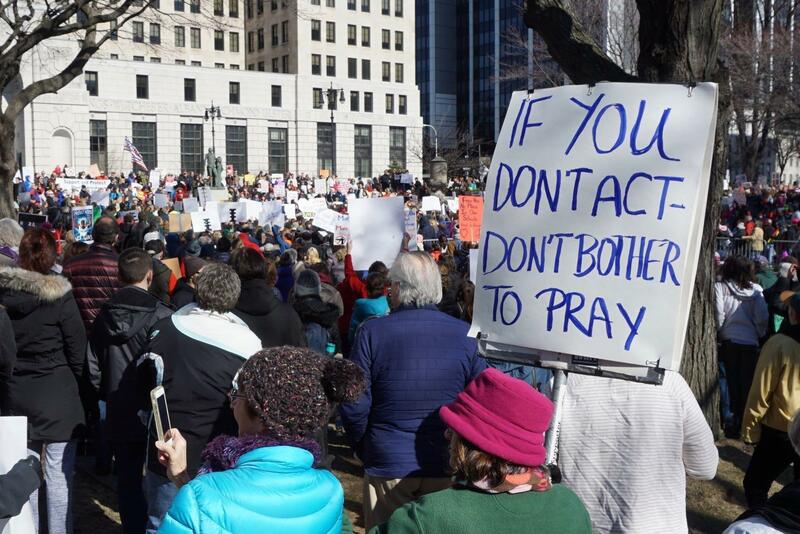 Holy cow. 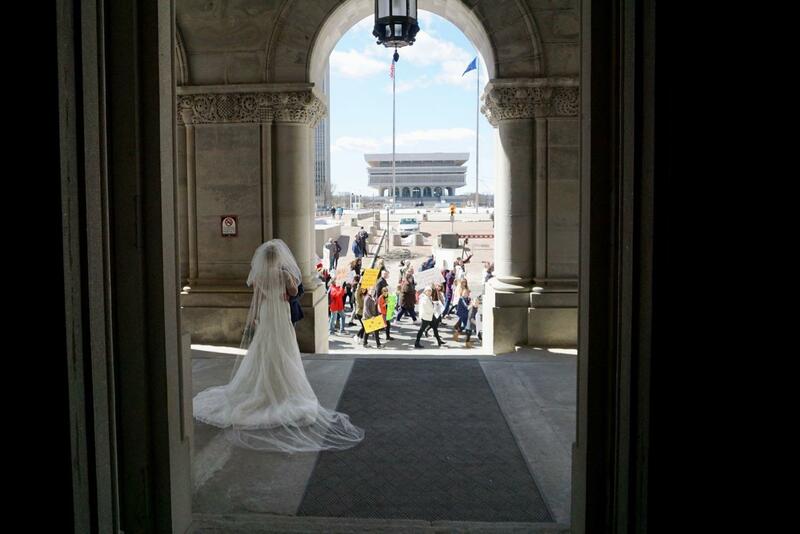 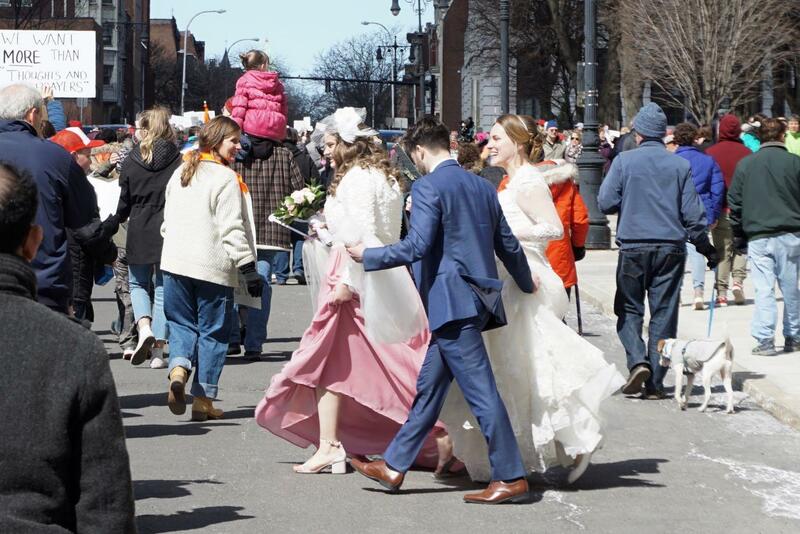 That photo of the bride on the capital steps. 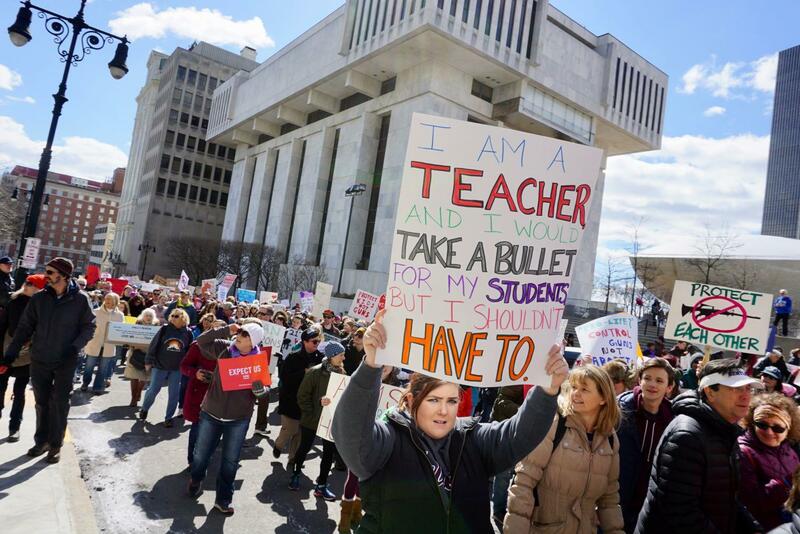 Bravo. 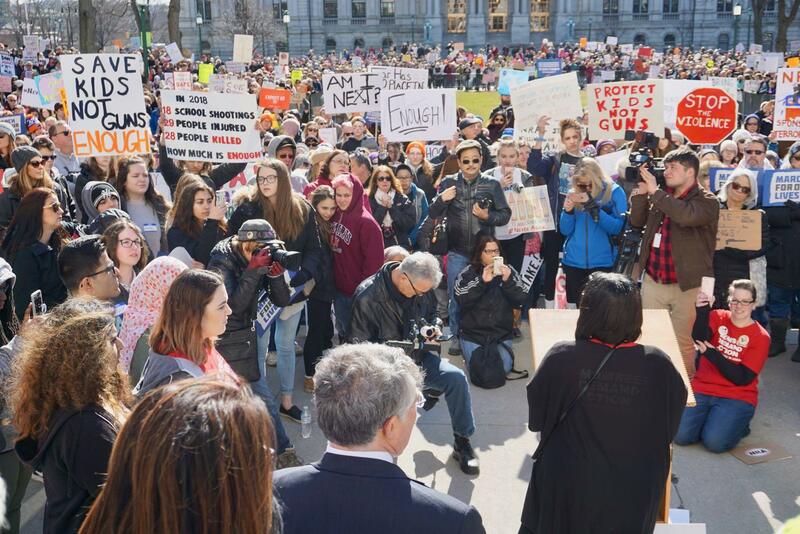 I too was there, sore hips and all. 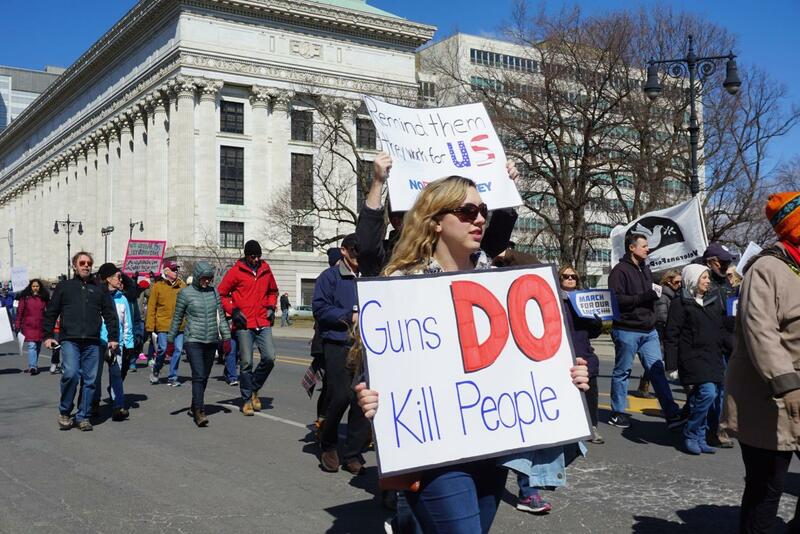 Let this have a ripple effect and show the folks that supposedly "work for us" start enacting gun legislation. 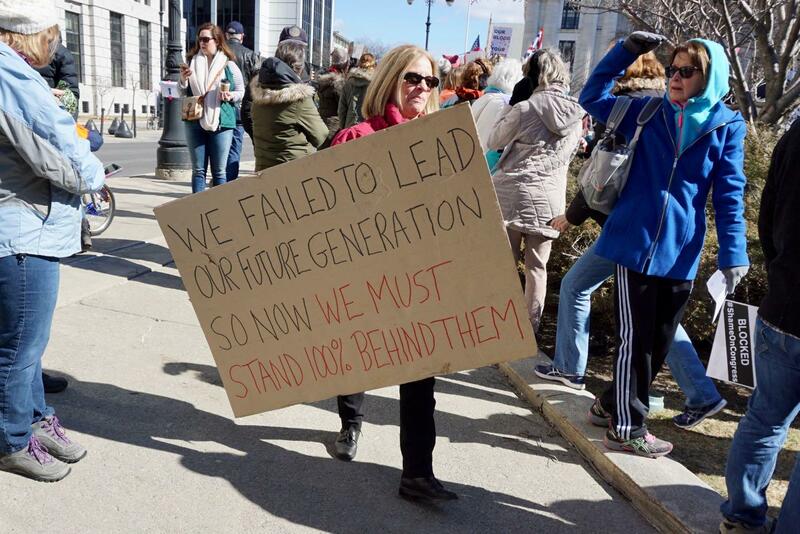 Can't go backward on this movement.